We would be very grateful if you could make a donation to the society. We are a not for profit charity and rely on memberships, donations and profits from bookshop sales to fund the continual programme of projects which will make more information available to the general public for the counties we cover, ie Staffordshire, Worcestershire and Warwickshire, including Birmingham. The information below tells you more about the society and should you wish to join, please go to the membership section on the home page of our shop. Our Society is the principal genealogical and heraldic society for the counties of Staffordshire, Warwickshire and Worcestershire. This includes the areas of ‘old’ counties, as they existed before the major boundary changes of the 19th and 20th centuries, as well as the areas brought into them by those changes. In particular the modern metropolitan boroughs of Birmingham, Coventry, Dudley, Sandwell, Solihull, Walsall and Wolverhampton (collectively known as the West Midlands) are within our area. in relation to genealogy and heraldry, especially within our area. 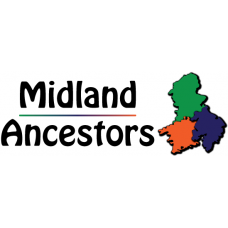 Our overall purpose is to help our members to carry out their own research into their family histories within our area. Individual membership, joint membership, associate membership (under 21 years). Joint membership is for more than one person living at the same address. Overseas members may opt to pay a supplement to have their journal delivered by airmail. Being a member of a Society of approximately 3,000 members, worldwide, who have wide ranging interests in genealogy and heraldry, and particular interests in more of ‘our’ counties. Offer you (on request) general advice and guidance on your searches in our area, and if necessary suggest names of local searchers who will carry out searches for you at reasonable fees. Ensure that you receive your copies of the following publications. You may list your ‘Members Interests’ once free of charge in this journal when you join the Society, or at a later date if you prefer. After that you may submit brief advertisements of other interests for a small fee as often as you wish (subject to space limitations in each issue). This contains details of the Society and its services and information about local record offices. Our special interest group, The Heraldry Group, meet in Birmingham. In addition our Publications Sales Officer can obtain for you any heraldic and genealogical publication on general release in the United Kingdom. This is a service which depends entirely upon the voluntary efforts of members who undertake to carry out simple research at record offices local to them in exchange for similar research being undertaken on their behalf at another record office. The exchange does not have to be direct. It is not unusual for A to research for B who researches for C who researches for A, and so on. Many overseas members have received help through this service. We maintain and continue to build Marriage and Burial Indexes for Birmingham, Staffordshire, Warwickshire and Worcestershire. (Birmingham is treated separately from Warwickshire in this context simply because it is so large). We have a variety of other specialist indexes, which are listed in the members Handbook. For more details of membership, please click here (this will download a pdf file)General Data Protection Regulations (GDPR) - Please see our..
For more details of membership, please click here (this will download a pdf file)General Data Protection Regulations (GDPR) - Please see ou.. Volunteers Wanted We are looking for volunteers to help transcribe images of Cemetery and Parish records. You can do this in your own home, all.. The Birmingham and Midland Society for Genealogy and Heraldry(also known as BMSGH) is a registered charity No. 505916Charity Gift Aid Declaration T..